This review will be a little bit different than the others I've written. 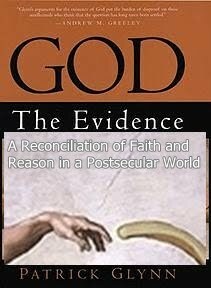 God: The Evidence: A Reconciliation of Faith and Reason in a Postsecular World by Patrick Glynn was published by Prima Publishing in 1997. This book was the second book (the first was Lee Strobel's The Case For A Creator) I had bought while beginning my search in 2005-2006 to find out the truth about the age old god debate. I remember being very confused by both Strobel's and Glynn's claims about being former atheists/agnostics. Of course, with my current knowledge, it seems that Strobel began to believe for emotional reasons, not intellectual ones  and I believe I've found evidence in Glynn's book to support this same conclusion. At the time, however, I was somewhat convinced by many of their claims and of their stories about how they came to believe, and that made me doubt my emerging disbelief. As I go through the review I will recall my thoughts and feelings as I first read the book all those years ago in addition to refuting each of his arguments. This is the author's introduction where he tells the reader about his path from agnostic/atheist to a believer. It's pretty standard. He explains how he had read Darwin at an early age and this greatly affected his beliefs. But then, he explains how science was beginning to shift; how science was beginning to point toward god, though I will leave his reasons for the specific chapters that lay ahead. It seems obvious that Glynn wanted to believe so when he learned of these new arguments that he presents he embraced them wholeheartedly, and obviously didn't put much thought into them and whether or not they were valid. Assuming this testimony is true, it would seem to me that for whatever reason Glynn had some kind of emotional reason to believe so he found the “evidence” (no matter how flimsy) that convinced him. Clearly this isn't true and a moral life is perfectly compatible with atheism as many studies show. This also seems to me to be another example of an emotional reason for his belief. Despite there being studies during this time in his life showing that non-believers can be just as moral, if not more so than believers, the author seems to have not bothered to look for such research. The previous comments make me wonder if Glynn's testimony is even true. This does not sound like the mindset of an atheist; he sounds almost like a believer trying to make up a story about what he thinks an atheist believes and his journey from such a supposed meaningless and immoral life to one of morality, purpose, and god. But, if the story is true, it may just be that his emotional reasons drove him to believe and kept him from investigating these matters in more depth. Then maybe he would have seen that even an atheist can lead a perfectly moral and purposeful life. Glynn's testimony, while seemingly emotionally driven and illogical to me now, when I first read the book he seemed so sincere and, because I hadn't had that much experience with apologetics, I could not tell the difference between a person who truly looked at the evidence with an uncritical eye and an apologist who most likely honestly believes, but for whatever reason, is blind to the problems with his or her views. Glynn's sincerity pulled me in and made me wonder if I could be wrong since he went to a big university and seemed so convinced of god. He must be very intelligent, I thought, and he spoke with such passion. But, as I was to learn later, this means nothing in the way of evidence, and is a formal logical fallacy to boot (an appeal to authority) and I allowed Glynn's rhetoric to blind me to the poor evidence he presents later on. He also argues that the big bang proves there was a beginning to the universe (26) and that the theory of evolution is in trouble. (47) All these facts, he claims, are scientific evidences of a god. Many of the examples of fine-tuning found in theological literature suffer from simple misunderstandings of physics. For example, any references to the fine-tuning of constants like the speed of light,c, Planck's constant, h, or Newton's gravitational constant, G, are irrelevant since these are all arbitrary constants whose values simply define the system of units being used. Only 'dimensionless' numbers that do not depend on units, such as the ratio of the strengths of gravity and electromagnetism are meaningful. One of the many major flaws with most studies of the anthropic principle coincidences is that the investigators vary a single parameter while assuming all the others remain fixed. They further compound this mistake by proceeding to calculate meaningless probabilities based on the grossly erroneous assumptions that all the parameters are independent. Even Stephen Hawking's more recent studies seem to cast doubt upon the Anthropic Principle. Well, evolution is a theory. It is also a fact. And facts and theories are different things, not rungs in a hierarchy of increasing certainty. Facts are the world's data. Theories are structures of ideas that explain and interpret facts. Facts do not go away when scientists debate rival theories to explain them. Einstein's theory of gravitation replaced Newton's, but apples did not suspend themselves in mid-air, pending the outcome. And humans evolved from apelike ancestors whether they did so by Darwin's proposed mechanism or by some other, yet to be discovered. Evolutionists have been clear about this distinction between fact and theory from the very beginning, if only because we have always acknowledged how far we are from completely understanding the mechanisms (theory) by which evolution (fact) occurred. Darwin continually emphasized the difference between his two great and separate accomplishments: establishing the fact of evolution, and proposing a theory—natural selection—to explain the mechanism of evolution. He wrote in The Descent of Man: "I had two distinct objects in view; firstly, to show that species had not been separately created, and secondly, that natural selection had been the chief agent of change. . . . Hence if I have erred in . . . having exaggerated its [natural selection's] power . . . I have at least, as I hope, done good service in aiding to overthrow the dogma of separate creations." Thus Darwin acknowledged the provisional nature of natural selection while affirming the fact of evolution. The fruitful theoretical debate that Darwin initiated has never ceased. From the 1940s through the 1960s, Darwin's own theory of natural selection did achieve a temporary hegemony that it never enjoyed in his lifetime. But renewed debate characterizes our decade, and, while no biologist questions the importance of natural selection, many doubt its ubiquity. In particular, many evolutionists argue that substantial amounts of genetic change may not be subject to natural selection and may spread through the populations at random. Others are challenging Darwin's linking of natural selection with gradual, imperceptible change through all intermediary degrees; they are arguing that most evolutionary events may occur far more rapidly than Darwin envisioned. Evolution is in no way being challenged as Gould so eloquently stated. At the time I had read this book my knowledge of science was limited to some basics about evolution and I was not familiar with the subjects Glynn discussed so it caused some confusion in me at the time. However, over time I read and learned more and found that Glynn's arguments did not stand on a solid foundation, and were often misunderstandings of the science under discussion, which is very common among Christian apologists. As I've shown, this is not the case at all. Glynn only came to his conclusion because he didn't look deeply into the issues at hand and therefore gained a skewed perspective. But, I think that's ultimately what he wanted to believe in the first place, so he sought the “evidence” that would confirm his emotional need to believe. 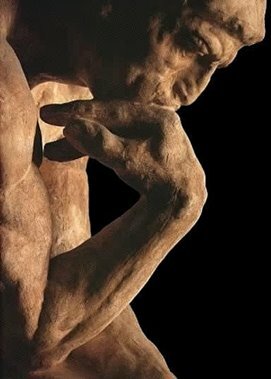 After looking into many of these studies and perusing the massive book Handbook of Religion and Health, by Harold George Koenig, Michael E. McCullough, and David B. Larson, this seems to be a common theme, though there are many studies that give the opposite conclusion, and it seems the conclusion is far from conclusive. Regarding divorce rates there are some studies showing the opposite, such as by the Christian sociologist George Barna. There have also been some studies reported by the Associated Press. The studies regarding depression rates between religious and the non-religious is mixed, but is far from concluding what Glynn wants his readers to believe. The relationship between religiosity ⁄ secularity and psychological well-being is a heavily-research [sic] matter (Sherkat and Ellison 1999), although one that is far from settled (Hwang 2008; Pasquale 2007a,b). Some studies suggest that religiosity is positively correlated with positive mental health outcomes (Levin and Taylor 1998; Levin and Chatters 1998) while others find no such correlation (Musick 2000; King and Schafer 1992; Gee and Veevers 1990; Brown and Gary 1987; Bergin 1983; Stones 1980; Campbell et al. 1976; Atchley 1997; Crawford et al. 1989). Some studies indicate that secular people are less happy than religious people (Altemeyer 2009; Reed 1991; Steinitz 1980), and yet international comparisons show that it is the most secular nations in the world that report the highest levels of happiness among their populations (Beit-Hallahmi 2009; Zuckerman 2008; De Place 2006). According to Greeley and Hout (2006, 153), among Americans who describe themselves as ‘‘very happy,’’ secular people don’t fare as well as religious people, and yet, among people who describe themselves as ‘‘pretty happy,’’ nonreligious Americans actually fare the best. While many studies do seem to confirm that religion is beneficial, most of the categories Glynn discusses are far from clear-cut as to which group is better off, exceptions being the rates of suicide and drug and alcohol consumption. However, these studies certainly show that religion isn't a necessity for happiness and well-being and this fact undercuts Glynn's whole argument. In short, the burden of both clinical experience and the research data suggests that among the most important determinants of human happiness and psychological well-being are our spiritual beliefs and moral choices. […] This is not to deny the importance of other factors in making for mental stability or to argue that psychotherapy cannot be of great use to individuals in healing the wounds of their past. But it does suggest the inutility of approaches to therapy that ignore the spiritual dimension of human existence or that have nothing to say about right or wrong. Several forces compel the therapist to become a moral agent. For one thing, therapists influence the moral postures of patients because they always interpret therapist responses to their moral concerns. If therapists approve clients' behavior, they may reinforce it; if they disapprove, they may change it. If therapists seem neutral, clients may interpret this as either tacit approval or disapproval – and often, it will be one of them, complimented by the therapist's fears of upsetting the patient or reluctance to dictate rules of propriety. Merely permitting these things to be discussed legitimizes clients' efforts to interpret therapists' reaction to them. To argue that psychotherapy can't and doesn't supply morals is false and Glynn's use of one sided data is once again evidence that Glynn wanted to find evidence for a god and the supernatural and did not conduct a thorough search into the evidence. Whatever Freud's views on morality were, they do not affect the practice of psychotherapy today and the fact that morality is a part of the practice. As far as psychotherapy supposedly finding evidence of a soul, that statement is backed with no solid evidence. The studies I cited previously show that religion has a mixed benefit. Even if religion was shown all across the board to be nothing but beneficial I am hard pressed to see how this somehow proves the existence of a supernatural entity such as the soul. That is the most curious of all of Glynn's arguments in this chapter. When I read this chapter for the first time I wasn't sure what to make of it. I thought perhaps Glynn was trying to imply that if one believes in god, and he were real, he rewards that belief by helping you remain psychologically healthy. As before, here I relied too much on authority and did not fact check Glynn's claims. After doing so, I found they are downright false in most instances. 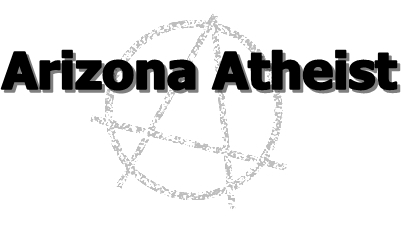 For more information about mental and physical well-being and religion see Well-Being, Atheism, and Religion. There are numerous problems with this argument, one of which is the fact that even non-believers can be and often are just as healthy as believers. When I first read this book I was perplexed by this argument since I was an agnostic at the time and yet I almost never got sick. Furthermore, when you put these many studies aside and look at one of the most religious nations, the U.S., and several of the most secular and non-religious countries in the world, the non-religious countries' physical health of its citizens is much better. According to Phil Zuckerman's book Society without God, when one looks at the Human Development Report published by the United Nations each year, one of the things it looks at is the degree of health and longevity of the people in each country. According to the most recent 2010 Human Development Report the most healthy countries aren't the most religious, but are the most secular and contain the most non-believers. In the number one spot in terms of health Norway leads the pack, followed by Australia and then New Zealand. Of course, this year in the number four spot is the U.S., but these secular countries are ahead of one of the most religious countries in the world. Glynn would like to argue that the body is somehow “fine-tuned” for religion but there are much more plausible naturalistic reasons why religion seems to help improve ones' health. An article by Richard P. Sloan, Ph.D. titled Field Analysis of the Literature on Religion, Spirituality, and Health explains how many of the studies have been flawed, including the book I cited earlier, the Handbook of Religion and Health, which is too one sided in presenting only the positive links to health and religion. In the Powell et al. review, 9 hypotheses about the connection between religion and health were evaluated. Powell et al. concluded that only in the case of studies of attendance at religious services and mortality was the evidence persuasive. In all other cases – that religion or spirituality protects against cardiovascular disease, against cancer mortality, that deeply religious people are protected against death, that religion or spirituality protects against disability. that religion or spirituality slows the progression of cancer, that people who use religion to cope with difficulties live longer, that religion or spirituality improves recovery from acute illness, and that being prayed for improves physical recovery from acute illness – the evidence was at best equivocal. “[T]the rate of heart disease events, nor the number of certain risk factors -- such as high cholesterol, diabetes, and high blood pressure -- differed among those who were more or less religious or spiritual. The only exceptions: Those who went to religious services, otherwise prayed or meditated, or were highly spiritual were more likely to be obese, and less likely to smoke. Given that many religions discourage smoking tobacco, the smoking finding was not difficult to explain, Lloyd-Jones said, and is consistent with earlier studies. You might have seen news reports about a recent study showing that religious people are no healthier than non-religious. The cynical among you might be wondering what on Earth's going on here, given that other studies have shown the opposite! A classic example of scientists proving whatever they want to, perhaps? Well, no. There's a good reason that this study has found something different, and that's because it's not asking quite the same question. You see, working out the relationship between religion and health is actually quite complicated. If you take the straightforward approach the answer is clear: religious people are unhealthier and die younger than the non-religious. The reason for that is obvious. Religious people tend to be poorer and less well educated. As a result, most studies try to work out whether religious people are healthier after adjusting for these differences. Even if Sloan's and others' conclusions were flawed and all of these studies do prove something, how, as in the last chapter, does this help provide evidence for god? The premise and conclusion do not follow. Just because the religious may be healthier on average then the non-religious does nothing to provide evidence of a god and this book is supposed to be about the evidence for god. In this chapter Glynn argues that near death experiences (NDE's) and out of body experiences (OBE's) are proof of the afterlife. He cites several stories by people who have had NDE's taken from authors Dr. Michael Sabom's and Raymond Moody's books, among a few others. He then cites arguments by the skeptics and attempts to debunk them, arguing that the naturalistic explanations cannot account for these experiences. First of all, these experiences are still being investigated so I look at these claims essentially as “god of the gap” arguments: Because science can't currently explain every detail of these experiences they must be proof of the afterlife. That's highly flawed reasoning. Despite my being a skeptic now, when I first read the book I thought perhaps there was something to these experiences. Maybe there is an afterlife; these experiences seemed compelling to me. As with the other chapters, I had no knowledge about the brain at that time and no real knowledge about these experiences, and I took the authors' words at face value (Glynn and the authors he cites) and didn't question most of the claims like I should have, since many of the conclusions the people who believe in NDEs and OBEs often make are flawed, and don't necessarily follow from their evidence. Glynn lists several naturalistic explanations for NDEs and attempts to refute them. First he lists cerebral anoxia, or oxygen deprivation to the brain. I find it a bit surprising that even an early apologetic work such as this commits much the same errors as more modern apologists. Just as apologists often do today they often misconstrue their sources and Glynn often misrepresents the science and Blackmore's book. Just previously, he ignored her statements that contradicted his biased beliefs about her supposed assumptions and ignored her evidence against his claims about blood measures. This seems to further confirm my original suspicions about his emotional reasons for belief. The reasons Glynn gives for NDEs not being hallucinations, whether drug induced or not, is not convincing since by subjecting people to these gases they experience much the same thing as people who had actual NDEs. Wouldn’t they be considered to be hallucinating due to those gases? I'd say so. A bit later on another naturalistic cause Glynn argues against is hypercarbia (elevated levels of carbon dioxide) but as with the example I just gave above people had elivated carbon dioxide levels and had NDE experiences. So Glynn's objection is false. [A]s Fenwick explains, neither artificial nor natural opiates have been shown to induce the NDE state. Injecting patients with morphine will not bring on an NDE or even feelings of ecstasy. Patients who suffer grand mal seizures have unusually high endorphin levels following the episode. But rather than feeling ecstatic, they feel drained and exhausted. Despite these uncertainties, completely dismissing the possible role of endorphins is a bit extreme as some experiences (such as the euphoria) seem to be explained by the release of endorphins, but there is still much uncertainty. As I've said before, there is likely a combination of the parts of the brain that are responsible for these experiences so by arguing that one part of the brain does not elicit such and such response is not persuasive. There is also evidence that both the right and left temporal lobes are involved in these experiences, which can account for the language element, since the left lobe is involved in speech and language. This is also evidence that there is a combination of various parts of the brain that are causing these experiences. I also find telling Glynn's obvious bias against Persinger's research, so much so that he came right out and scoffed at his attempts to find naturalistic explanations for these experiences. Emotional reasons for his beliefs, anyone? As I've shown throughout the review of this chapter, a lot of Glynn's claims have been falsified and he is guilty of ignoring evidence that doesn't suit his argument. As I've shown not only has more recent research disproven nearly all of his claims, but even the available research at the time he wrote his book he often ignored. On the other hand, at least he is more open-minded than most Christians I've encountered in my several years of writing book reviews. It is true that near-death experiences are still being researched, but as I said in the beginning of this chapter, that is no reason to make use of the “god of the gap” mindset and argue these experiences are some form of supernatural phenomenon. It seems from the research I've looked at that much of these experiences have some likely naturalistic explanations and there is no need to argue that they are proof of the afterlife. This was a very interesting and pretty fun project. I re-read a book I had read a few times while on my path towards my eventual disbelief and it's fascinating to me to see the vast differences between my views then and now. Not to mention my increased knowledge of these subjects. While I was often unsure (if not slightly convinced) of many of Glynn's claims those several years ago, now I see all to clearly his biases and errors in thinking and, through my research, his many factual errors. During the writing of most of this review I did my best to cite research that Glynn would have had access to because I didn't feel it would have been fair to argue against Glynn's book with more recent scientific knowledge that he wouldn't have had access to. This book is certainly interesting and well written, but it suffers from the same flawed thinking as Christians today. 27. Memory Distortion: How Minds, Brains, and Societies Reconstruct the Past, edited by Daniel L. Schacter, Harvard University Press, 1997 - This book was even available (in hardback in 1995) during or before the writing of Glynn’s book so he had access to this information but ignored it. I've recently discovered your blog. I really enjoy these lengthy, well-cited critiques of apologetic's books. Great work. Any possibly of doing a critique of Tim Keller's "The Reason for God"? Again, great work; I will be spending some time here catching up on your posts. Thanks and I hope you continue to enjoy future posts of mine. Take care.